Not interested in buying the box but like some of their products? Great news! They have a store you can buy box items from! Also, check them out on facebook, they give box updates, tips, and ideas! 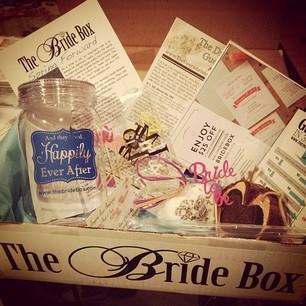 This entry was posted in Beauty, Just for Brides, Products we love! and tagged beauty, beauty box subscriptions, birchbox, bridal, bridal boxes, bridal fun, bridal subscriptions, brides, Detroit, DYI projects, engagement, event planning, glossybox, great gifts, happily ever after, ipsy, just for brides, mr and mrs, northern ohio, serendipity weddings and events, southeast michigan, wedding, wedding planning. Bookmark the permalink.